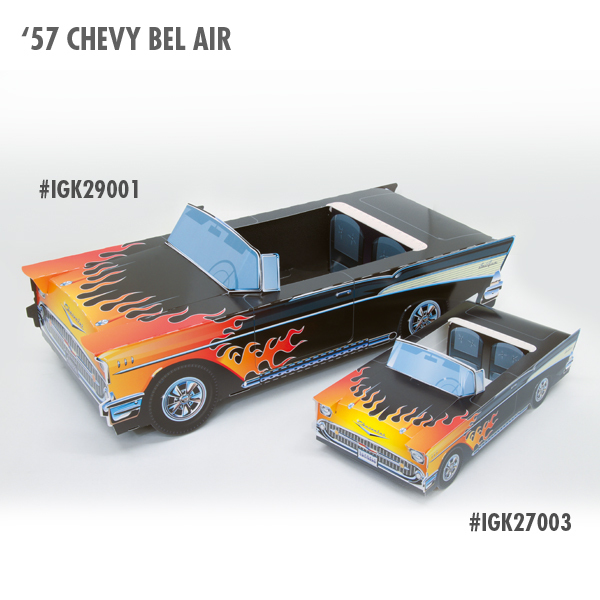 GM official licensed realistic 1957 Chevy Hot Rod paper craft car. There is a space where you can put in some foods and toys. 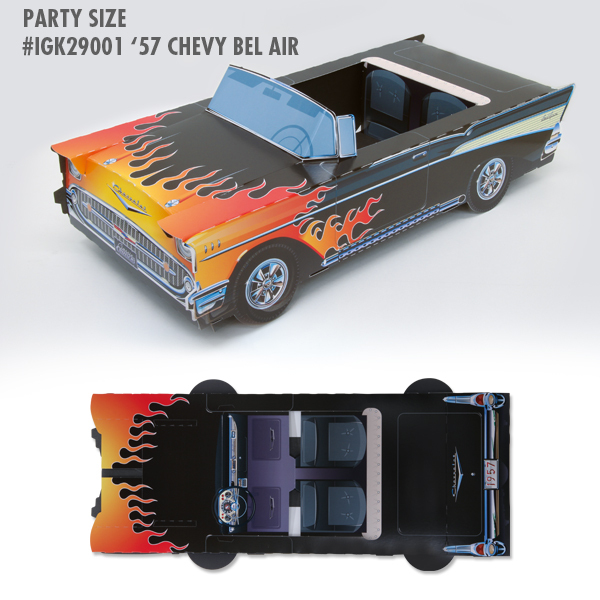 You can enjoy the Hot Rod at parties and your room! Classic Cruiser used in MOON Cafe cabe be purchased from HERE! !